No matter what you study at the UW, there are plenty of opportunities to make friends through the arts. 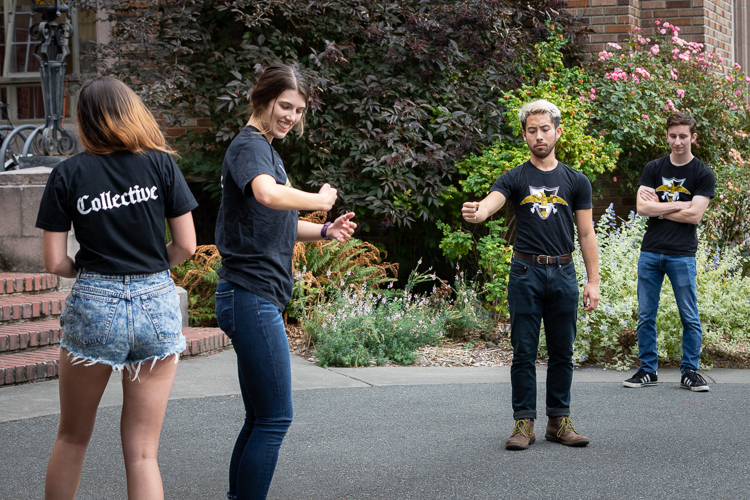 Pick up the drums in a band, take the stage with your improv group, connect with other students interested in creating art, or join a production team to make a film. Explore the numerous ways to find your community in the arts. Explore opportunities to engage through Student Life. Scan the hundreds of Registered Student Organizations. Join one of the many ensembles -- from Glee Club to the UW Symphony Orchestra -- associated with the School of Music.